Passionand commitment: this is the magic of our work. The feltneed to reveal herself inspired the stylist in the realization of aunique collection only available in the most important boutique inthe world. Soft,sliding lines, glamorous naked backs become elegant with luxuriousem broideries. Contemporary details and bright jewelry on precioussilk name her the icon of style. The collections will speak to you of elegance, taste, quality, the same prospects that will charm youreyes - and heart – in Nicole showrooms. 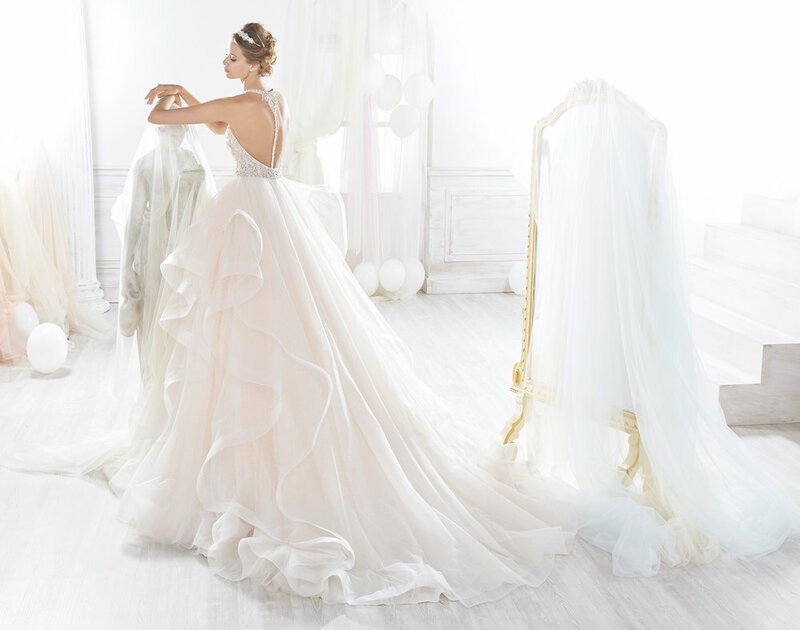 It will be here among themirrors of the elegant one brand stores that you will find thegreatest choice of dresses and the courtesy and expertise of herstaff: attentive professionals, ready to walk you by the handtowards the most emotional step of this engaging journey called life. Beading touch! Feminine and fabulous light pink princely dress in tulle and glitter tulle with a bright beading bodice. Princely and romantic dress in tulle and glitter tulle, enriched with beading embroidery and beaded chantilly lace. Ideal for the girl who loves to dare! A touch of class! Romantic and majestic princess dress in tulle, beautified with chantilly lace details and beaded macramà lace.